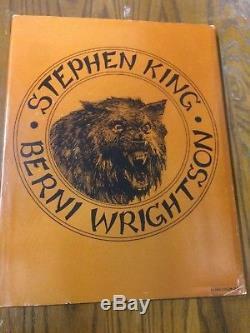 Cycle of the Werewolf by Stephen King with illustrations by Berni Wrightson. 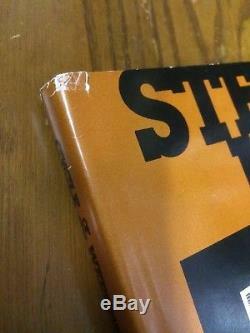 Good used condition, dustjacket has some wear and fading. 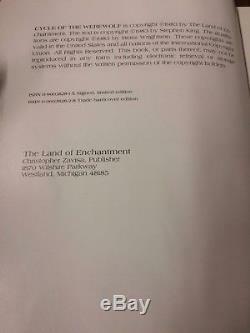 Very hard to find book, 1st edition from 1983 (not the signed edition). 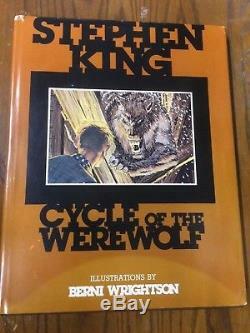 The item "CYCLE OF THE WEREWOLF (1983) by Stephen KING / Berni WRIGHTSON Hardcover" is in sale since Wednesday, January 17, 2018. This item is in the category "Collectibles\Comics\Collections". The seller is "ronfreeman42" and is located in Columbus, Ohio. This item can be shipped to United States, all countries in Europe, Canada, Japan, Australia, China, South Korea, Indonesia, Taiwan, South africa, Thailand, Hong Kong, Israel, Mexico, New Zealand, Philippines, Singapore, Saudi arabia, United arab emirates, Qatar, Kuwait, Bahrain, Malaysia, Brazil, Chile, Colombia, Costa rica, Panama, Trinidad and tobago, Guatemala, El salvador, Honduras, Jamaica.